The emerging picture of end-point assessment methods – what are the trends? We also delve into every assessment plan (yes that’s right, all 361 of them) and pick out the key features. This month, we thought we’d share it with you all. 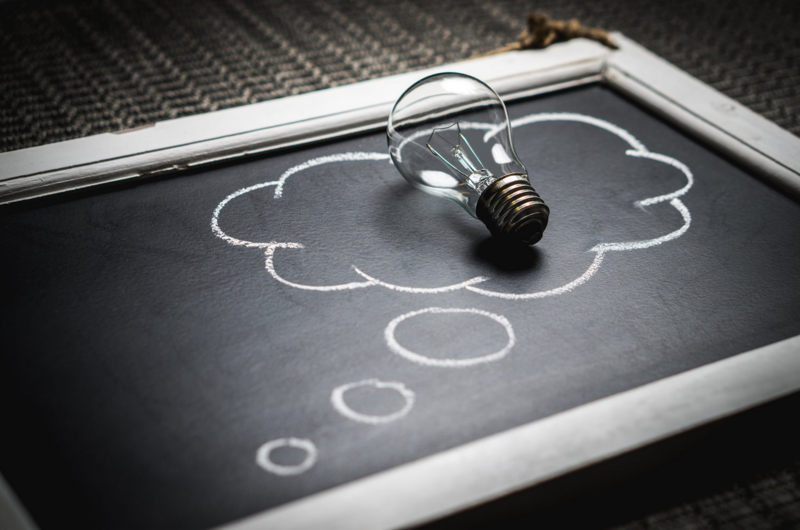 So, if you currently delivering apprenticeship training, or are considering the delivery of end-point assessment, here’s a sector-wide picture of end-point assessment methods and the latest trends to inform your role. Why has the number of portfolio assessments dropped so dramatically? 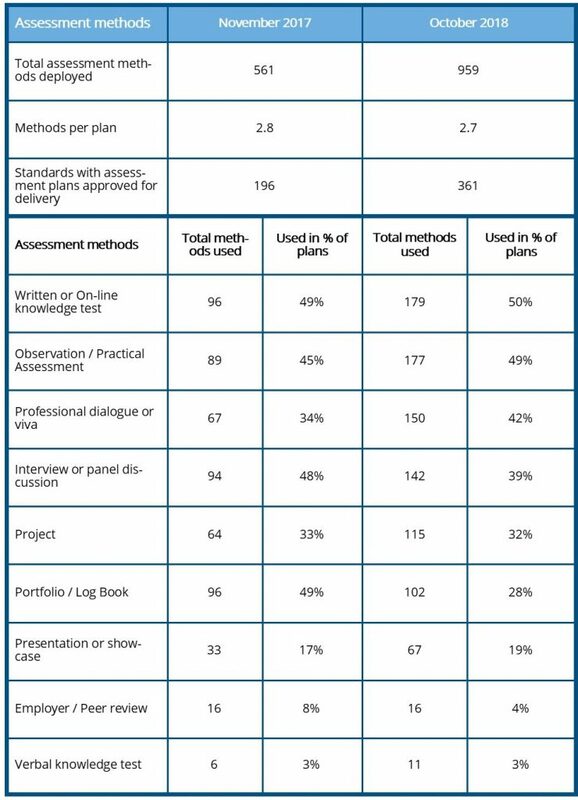 In November 2017, 49% of all approved apprenticeship standards stated that a portfolio or log-book needed to be produced as a discrete part of the end-point assessment. Fast forward one year and that figure has dropped to just 28%. Although some assessment plans pre-date this guidance (and include portfolios as a gradable part of the end-point assessment), portfolios are now no longer seen as an assessment method in and of themselves. If you look closely at assessment plans, you’ll see that many do still mention portfolios and log-books, but only in a way that supports the core assessment methods – providing evidence and discussion points for an interview or professional dialogue, for example. One assessment method that is becoming increasingly popular is the Professional Dialogue (or Viva), largely driven by the increasing number of higher-level apprenticeships. In November 2017, this was the fifth most popular end-point assessment method – 12 months on, it is now in third place (in 42% of all assessment plans). Professional discussions tend to be more holistic – it is a key opportunity for the apprentice to demonstrate their depth of understanding and articulate the development of their skills and behaviours in a way that is likely to attract a higher-level grade. End-point assessment organisations will take slightly different approaches to the professional discussion (e.g. open / closed dialogue), so it’s important you understand their approach, and work with the apprentice on-programme to prepare them for it. Employer / Peer Reviews, although used just sixteen times as an assessment method, is only used in standards in the digital industries (and two or three high-level engineering standards). This reflects that fact that particular methods are sometimes recognised and widely-used within particular industries. With the Digital standards being some of the very first to be developed (and now up for review), it will be interesting to see what changes are made to these assessment methods, in a way that aligns with current trailblazer guidance. Understand what end-point assessment means for your role as a trainer at our Apprenticeship Breakthrough Conference! Early bird rates are now open for SDN’s Apprenticeship Breakthrough Conference (just £95+vat). It’s a great CPD opportunity for front-line training provider staff. The Conference is different. It’s not a policy talking shop, but solution focused – allowing you, and your staff to gain insight, tools and actions to improve your practice. SDN works with training and assessment providers across the country to launch, grow, adapt and improve their provision. Contact our team of specialists for support. For regular insights – sign-up to our mailing list and join our LinkedIn End-Point Assessment group to share ideas and best practice with fellow apprenticeship practitioners.